The first mojito of the season! Happy Friday everyone . Trying out my new iphone. Hopefully I can use it to snap some more pictures for reviews . Sundays in the summer when we are around have a nice rhythm in the Fred household. Get up, go to church, come home and adjourn to the pool for some relaxing and (of course) food, usually on the grill. As loyal readers will know I am much more partial to beer and wine than I am liquor but Mrs. F and I have gotten into the habit of having an afternoon “pool drink.” It varies somewhat: when local white peaches are in season we have been known to have a Bellini or a peach margarita. 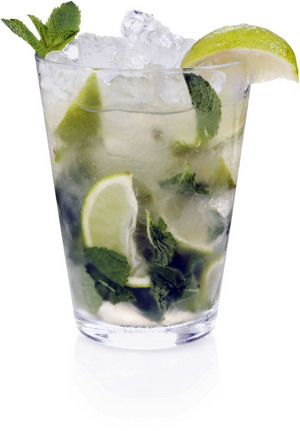 But generally over the last few years it has been the mojito. Lately however there has been discord in paradise as Mrs. F has a new favorite. Add a cup or so of crushed ice, top off with club soda and gently stir. 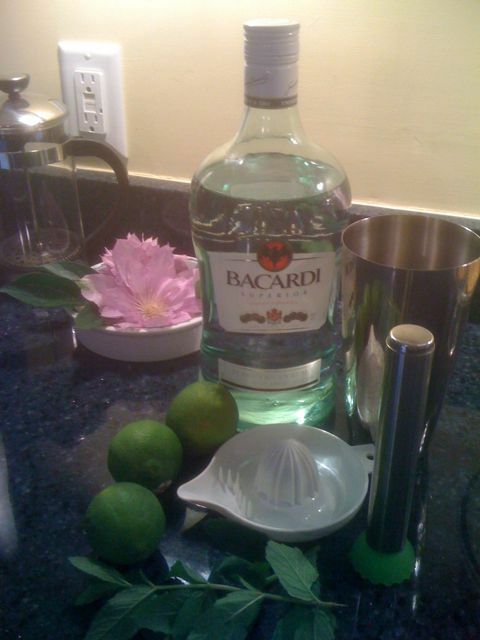 If you’re feeling really fancy garnish with a sprig of mint and a lime wedge. Enjoy.